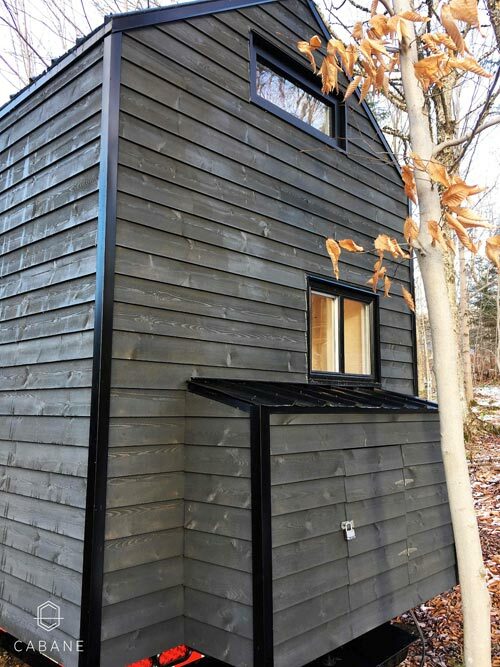 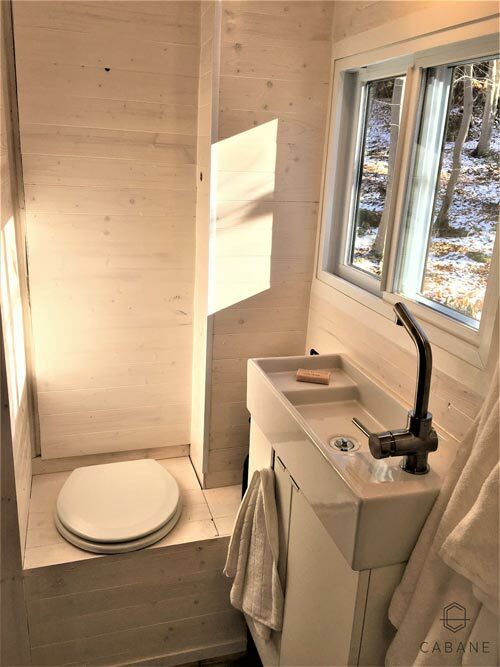 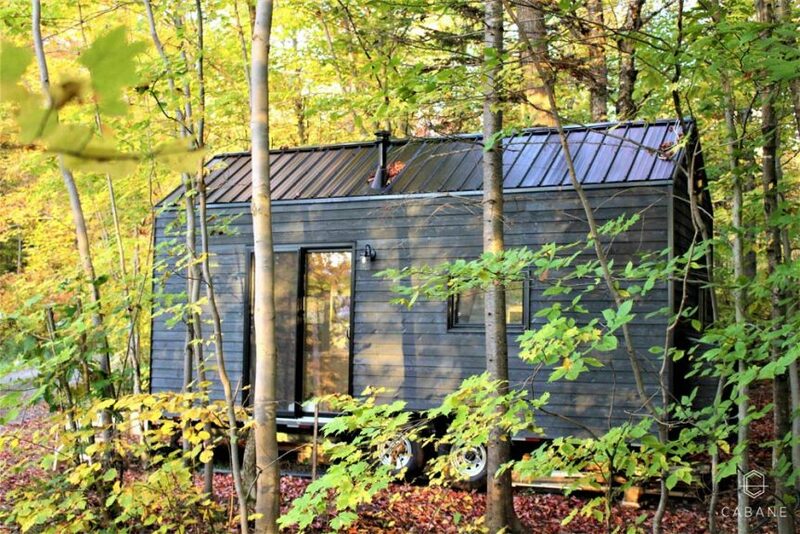 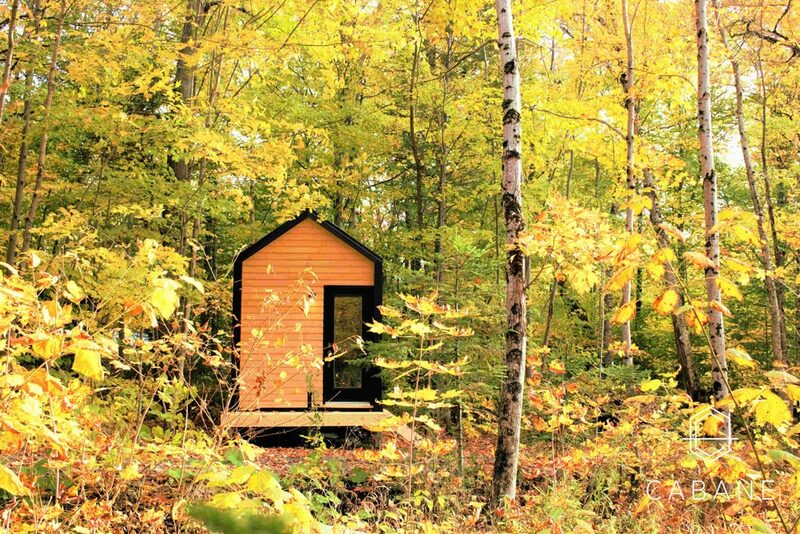 Quebec City, Canada-based builder, Cabane, built this Scandinavian-inspired tiny cabin. 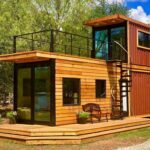 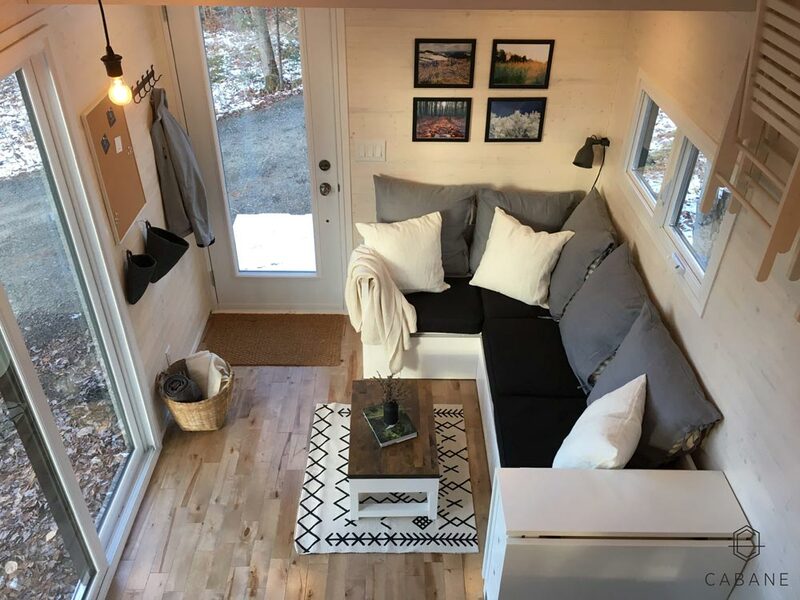 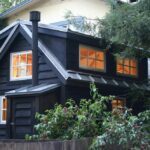 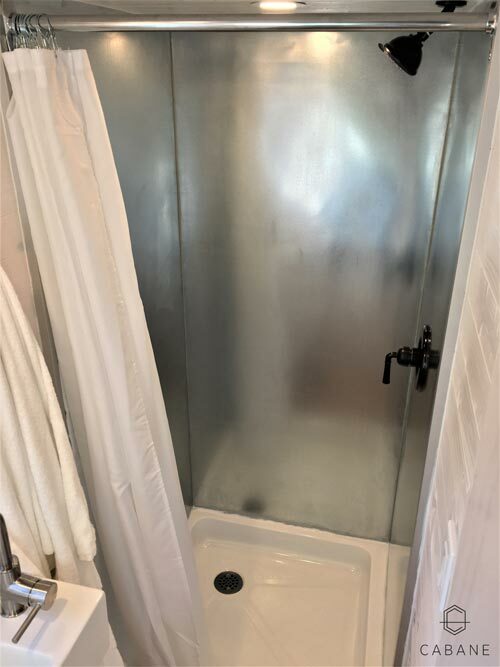 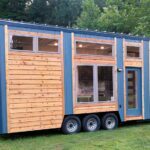 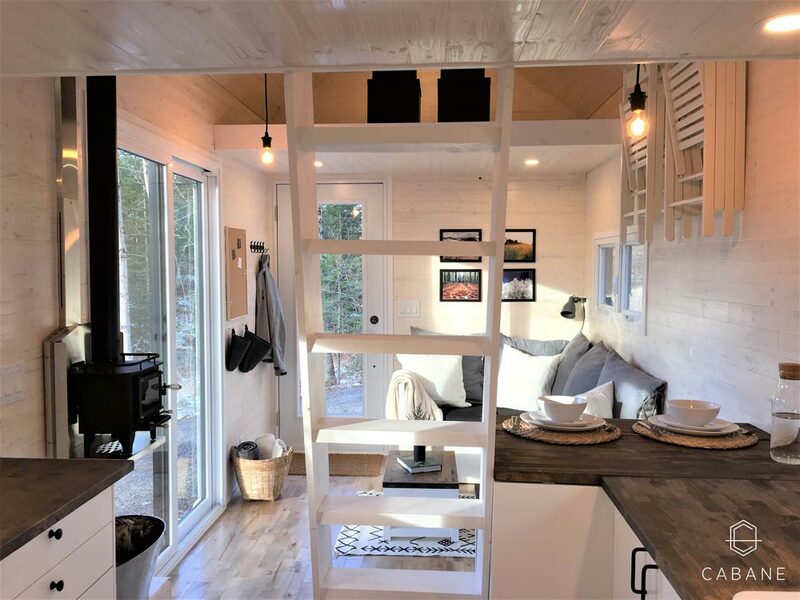 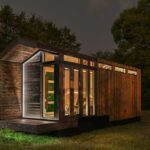 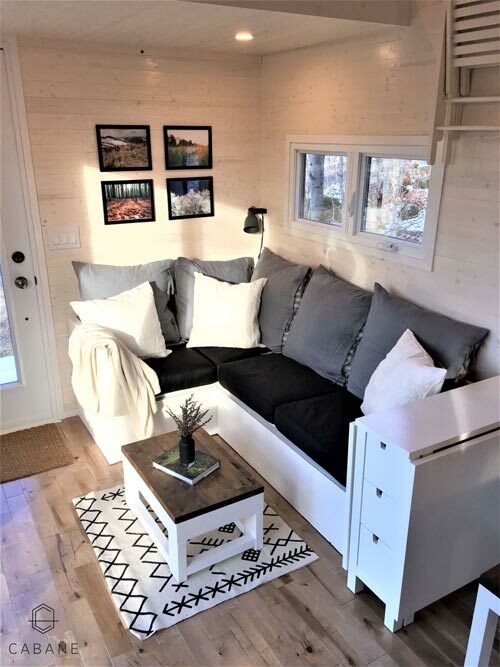 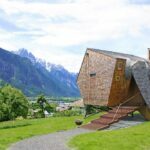 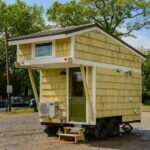 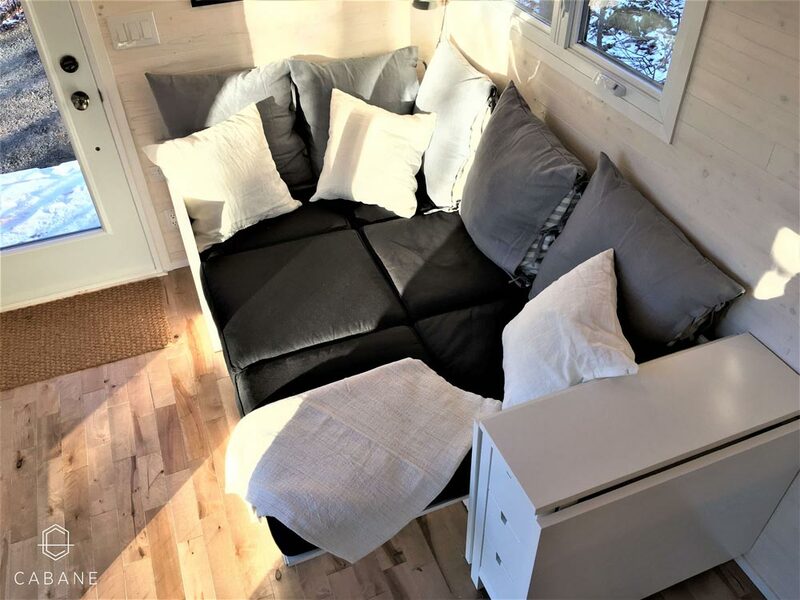 The 256-square-foot cabin is 20-feet long and can accommodate up to five people between its two lofts and sleeper sofa. 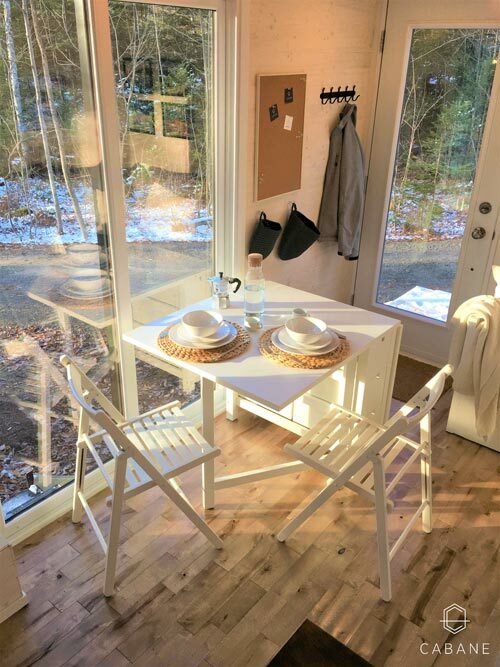 There is abundant natural light in the cabin thanks to the sliding glass door, full light entry door, and several windows. 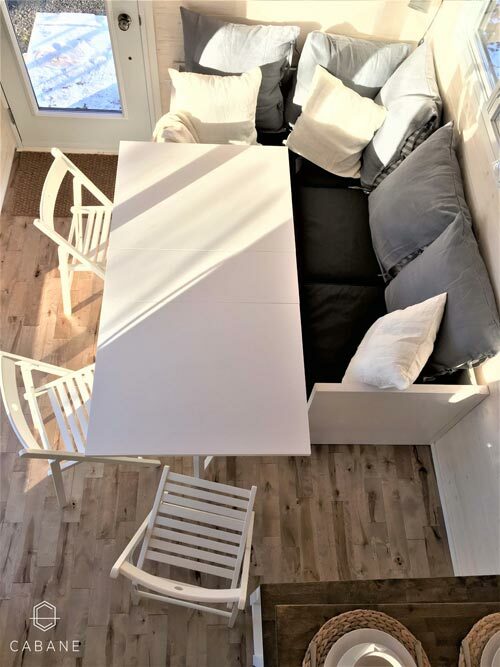 A multifunction table in the living room can be expanded to fit up to six people. 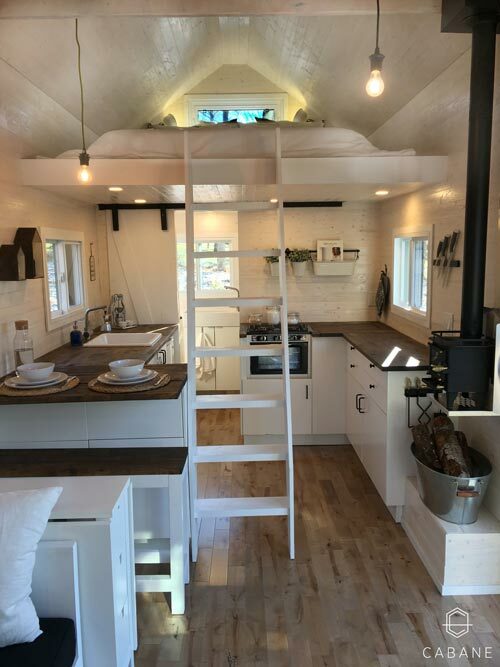 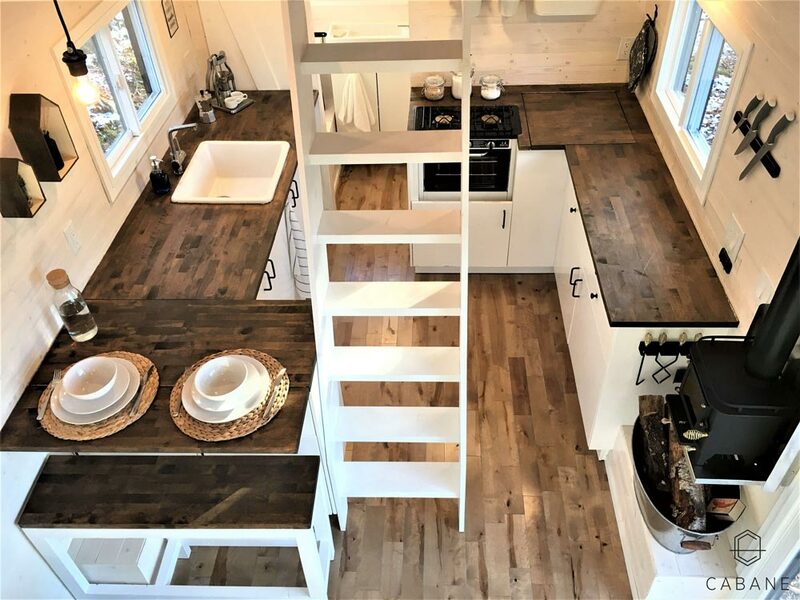 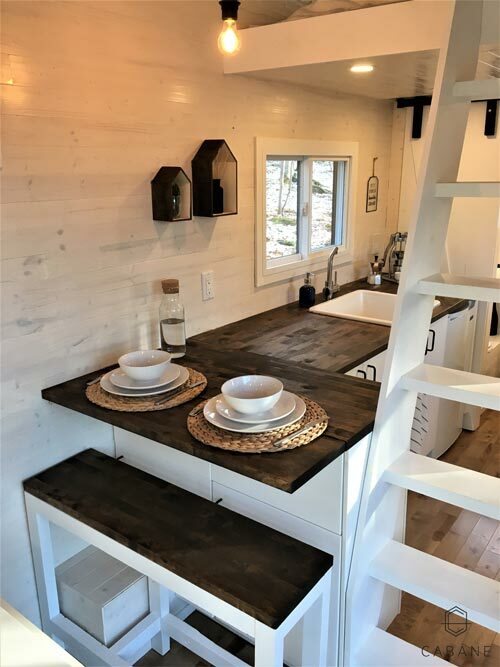 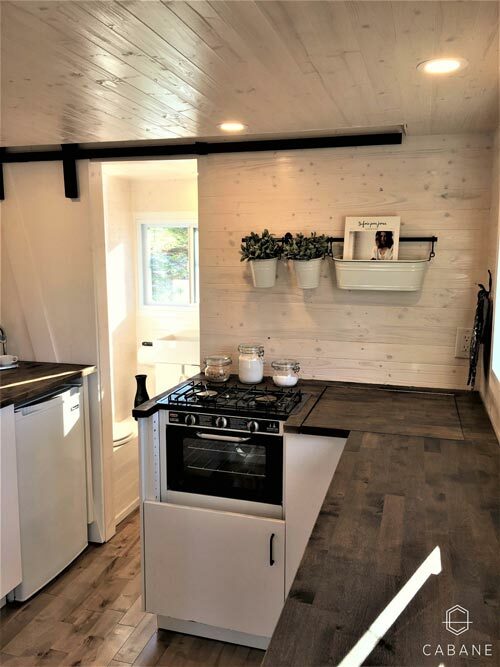 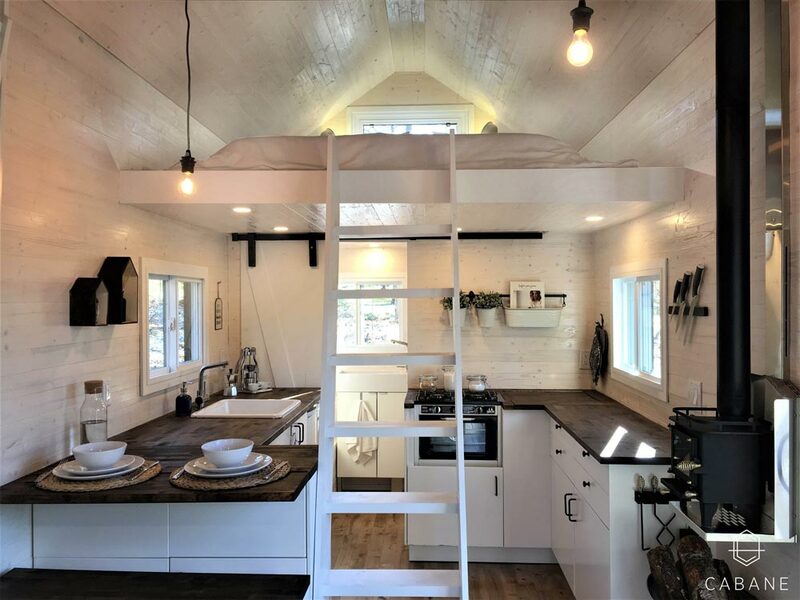 The large kitchen offers a huge amount of counter space compared to most tiny homes, plus it has an extra bench seat for two people. 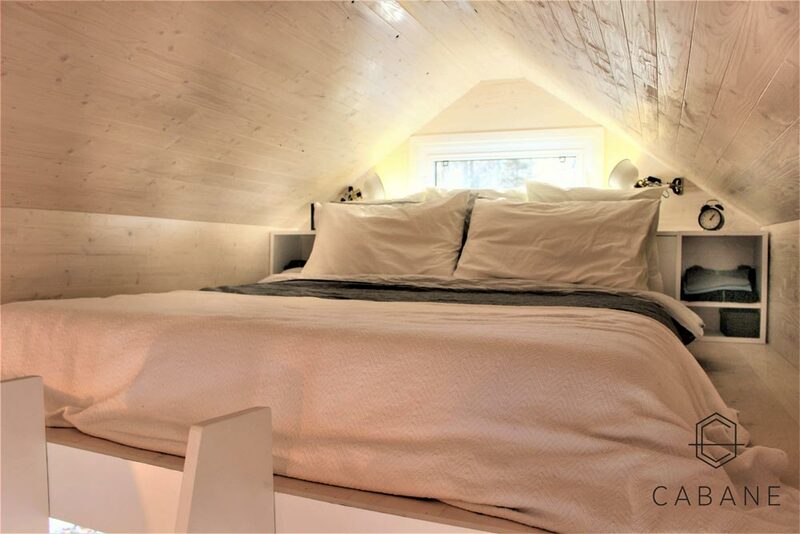 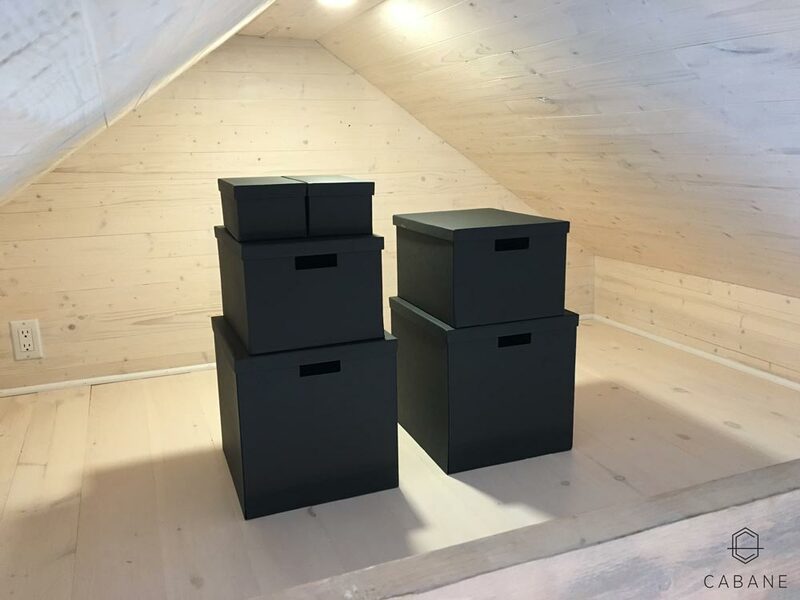 The master bedroom loft is large enough for a queen bed and the guest loft can fit a single bed or be used as a storage space. 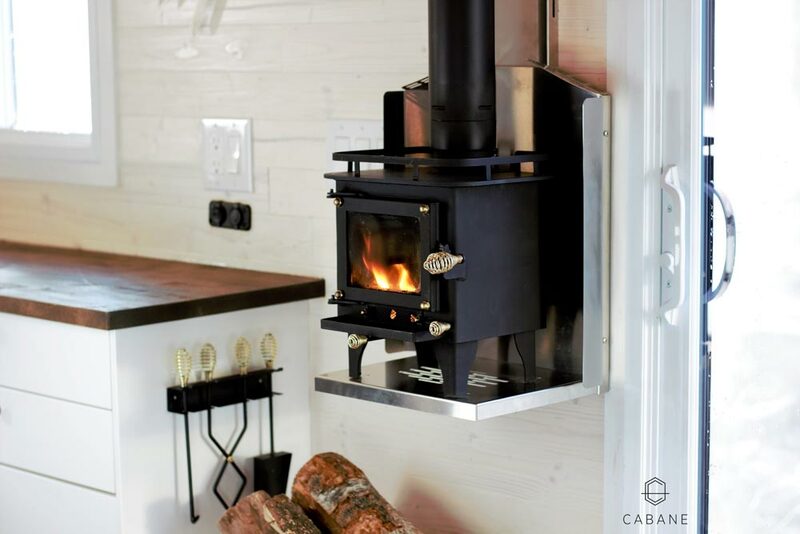 A wood-burning fireplace keeps the cabin warm and cozy in the winter.